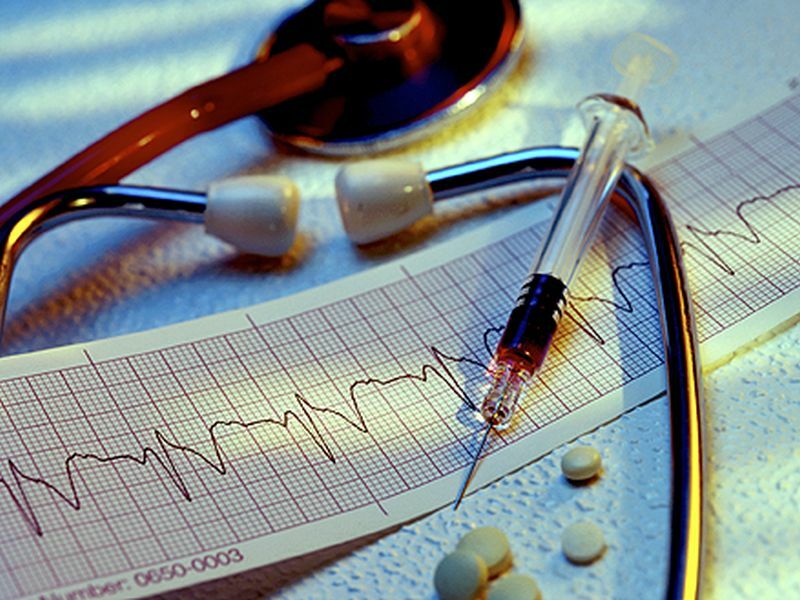 TUESDAY, Jan. 23, 2018 (HealthDay News) -- Survival rates are rising for people who have cardiac arrest while in the hospital, a new study finds. But if cardiac arrest happens at night or on a weekend, you're more likely to die than if it happens on a weekday. The odds of surviving an "off-hours" cardiac arrest are nearly 4 percent lower than for people who have cardiac arrest in the daytime during the week, the study found. Cardiac arrest is not the same as a heart attack. A heart attack occurs when blood flow to the heart is blocked because of a circulation problem, according to the American Heart Association (AHA). Cardiac arrest, on the other hand, occurs when the heart malfunctions and unexpectedly stops beating -- described by AHA as an "electrical" problem. "Nearly 50 percent of in-hospital cardiac arrests take place during off-hours. By determining how survival has changed in recent years, we may be able to identify opportunities for quality improvement efforts," the study's lead author, Dr. Uchenna Ofoma, said in a news release from the American College of Cardiology. "If we can improve survival for cardiac arrests that occur during off-hours, it could impact a substantial number of patients," said Ofoma. He is an attending physician with the division of critical care medicine at the Geisinger Health System in Danville, Penn.